Forest Green Rovers extended their lead at the top of the National League with victory over struggling Guiseley. Guiseley had the better of the early chances, but Elliott Frear fired in Jon Parkin's cross to put the hosts ahead. Parkin had a goal ruled out for a foul after the break, before he made it 2-0 from the penalty spot after Kurtis Guthrie was tripped by Gavin Rothery. Substitute Aaron O'Connor volleyed in a third to ensure Rovers went five points clear of second-placed Cheltenham. "The good thing is we're creating chances. Another three goals is a good ratio for goals for. "If we're being really critical we could have scored more, but we'll keep taking three-nils. "We've just got to be consistent, that's what this league is all about. If you can keep picking up points and you can bounce back when you've been beaten, hopefully you'll be there or thereabouts." Match ends, Forest Green Rovers 3, Guiseley 0. Second Half ends, Forest Green Rovers 3, Guiseley 0. Foul by Darren Carter (Forest Green Rovers). Attempt saved. Charlie Clough (Forest Green Rovers) left footed shot from the left side of the six yard box is saved. Assisted by Elliott Frear. Attempt missed. Darren Carter (Forest Green Rovers) right footed shot from outside the box. Goal! Forest Green Rovers 3, Guiseley 0. Aaron O'Connor (Forest Green Rovers) right footed shot from the left side of the box to the top right corner. Assisted by Darren Carter. Substitution, Forest Green Rovers. Aaron O'Connor replaces Kurtis Guthrie. Adam Lockwood (Guiseley) wins a free kick. Substitution, Forest Green Rovers. Sam Wedgbury replaces Rob Sinclair. Substitution, Guiseley. Tom Craddock replaces George Maris. Substitution, Guiseley. Nicky Boshell replaces Gavin Rothery. Attempt missed. Darren Carter (Forest Green Rovers) right footed shot from outside the box is too high. Substitution, Guiseley. Liam Dickinson replaces Adam Boyes. Goal! Forest Green Rovers 2, Guiseley 0. 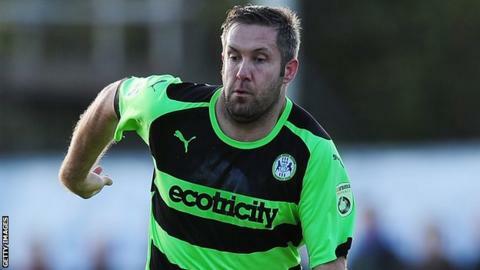 Jon Parkin (Forest Green Rovers) converts the penalty with a right footed shot to the bottom left corner. Penalty conceded by Gavin Rothery (Guiseley) after a foul in the penalty area. Penalty Forest Green Rovers. Kurtis Guthrie draws a foul in the penalty area. Substitution, Forest Green Rovers. Charlie Clough replaces Darren Jones because of an injury. Second Half begins Forest Green Rovers 1, Guiseley 0. First Half ends, Forest Green Rovers 1, Guiseley 0. Attempt blocked. Jon Parkin (Forest Green Rovers) right footed shot from the left side of the box is blocked. Gavin Rothery (Guiseley) is shown the yellow card for a bad foul. Keanu Marsh-Brown (Forest Green Rovers) wins a free kick. Foul by Will Hatfield (Guiseley).